The Storm Javelin can rain destruction down on the battlefield with ease in Anthem, with plenty of elemental attacks. The Storm Javelin exosuit brings destructive capabilities of all sorts to the battlefield, raining down elemental destruction all across the game. In our Anthem Storm Javelin guide, we'll be explaining everything there is to know about the experimental suit of armor, including details on the best Anthem Storm builds, so you can maximise the power of the Javelin. However if you instead need any other information on BioWare’s upcoming game, then you can always head over to our Anthem guides hub. Here you can find a full story primer for the game, as well as detailed breakdowns of the three additional Javelin exosuit types featured. Firstly, it certainly sounds like the Storm Javelin will be the final type of exosuit unlocked while progressing through the main story of Anthem. The official website describes the Storm Javelin first arriving “in Fort Tarsis as a rumor.” Although the Storm Javelin can deal vast amounts of elemental damage, it has very little in the way of protective armor. In terms of weapons, every Javelin exosuit in Anthem has two available weapon slots, the Storm Javelin included. The Storm can equip any type of weapon in the game into these two slots, with the exception of heavy weapons like rocket launchers, which can only be equipped by the Colossus Javelin. Every type of Javelin featured in Anthem has one unique melee ability. For the Storm Javelin, you can use the “Fiery Strike” ability, which lets the exosuit deal out a huge explosive flash, which knocks back all enemies within the certain radius. Just below, you have three sections of “Seals” for the Storm Javelin. You can equip one ability from each of these three categories for your Storm Javelin, and change them up in between missions. Lightning Strike - A strike that deals lightning damage over a certain area. Ice Storm - Creates a single area covered in ice, which deals damage until a final explosion. Flame Burst - A rapid explosion which deals damage to a specific target location. Rime Blast - Fires off a small group of ice projectiles, which freeze targets within a certain distance. Living Flame - The Storm emits a single burst of flame, which seeks out and ignites targets. Hoarfrost Shards - Fires off rapid shards of ice which freeze a target in place. Fireball - An ability that can fire off either lots of small fire shots, or charged for one powerful projectile that explodes. Ball Lightning - A bundle of electrical energy, that can rebound off walls to reach a target behind cover. Glacial Beam - Fires off a single beam of ice energy in one direction. Arc Burst - Unleashes a single blast of lightning that leaps between targets for damage. Wind Wall - Generates a continuous wall of wind which deflects enemy projectiles. Nexus - Creates a single field which provides gear cooldown bonuses for teammates within the radius. 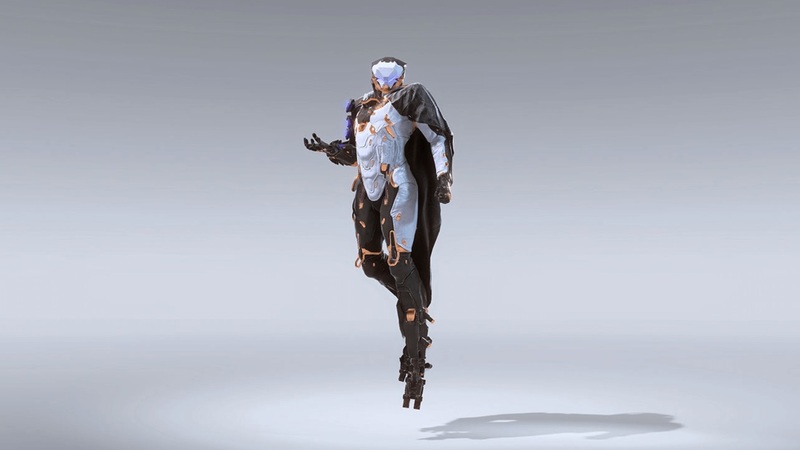 The Storm Javelin has one main Ultimate Ability that it can unleash, just like the three other exosuit types in Anthem. This ability is known as “Elemental Storm,” the Storm Javelin sends out blasts of ice, electricity, and fire, one after another, before emitting one final explosion. The Storm is the best javelin for Priming enemies. Use Frost Shards to do so, they can be fired rapidly over multiple enemies. From there, use the Lightning Strike as a powerful AoE detonator. This will ensure high Combo Effect Damage. You want to equip anything that shortens the recharge time of your main attacks. We recommend Quickening Field. For Components, the Elemental Conduit	and Elemental Empowerment are absolute musts. As of right now, this is all the information that you need to know about the Storm Javelin exosuit in Anthem. You can now continue ahead to our additional guides on the game, including our Anthem Interceptor Javelin guide, or our Anthem progression guide.